OAK’s lobster roll will be ½ off on Nat’l Lobster Day! Just when you think lobster roll season is over, the fourth annual National Lobster Day designated by U.S. Senators from New England is this Tuesday and OAK Long Bar + Kitchen is celebrating by offering its lobster roll *half off* all day on September 25. The roll will be served for the low price of $14.50 (normally $29). A steal for those looking to indulge in fresh lobster for the occasion and an opportunity to cross another Boston roll of their wish list. OAK’s delicious roll is a hidden gem in Boston and worthy to be talked about as a top contender in the city. 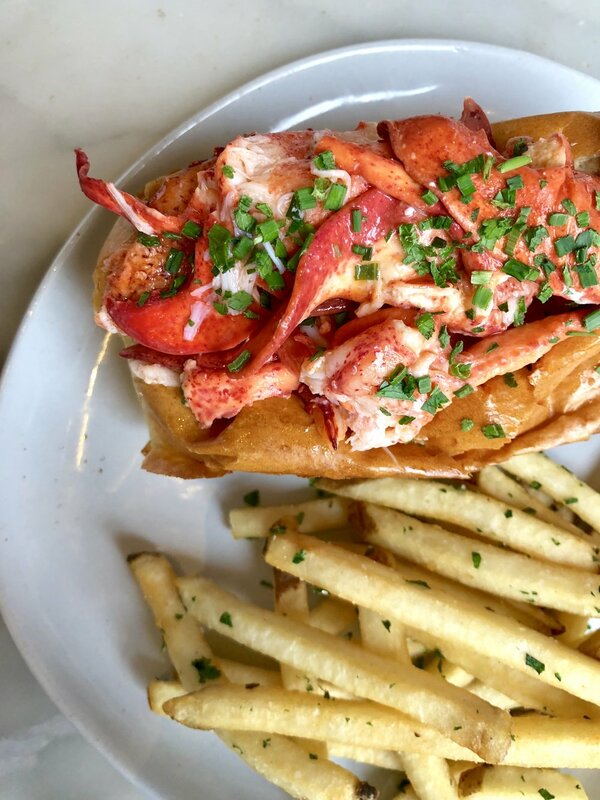 The Back Bay restaurant has served its classic lobster roll for years, because why mess with a great recipe? Maine lobster tossed with champagne vinaigrette and chive. In lieu of mayo, tarragon aioli is lightly spread on a toasted bun. Don’t be shellfish, spread the word about this clawsome 50% off deal so your readers can take advantage on Tuesday!